Family Pacific Dream: and We’re Under Way! 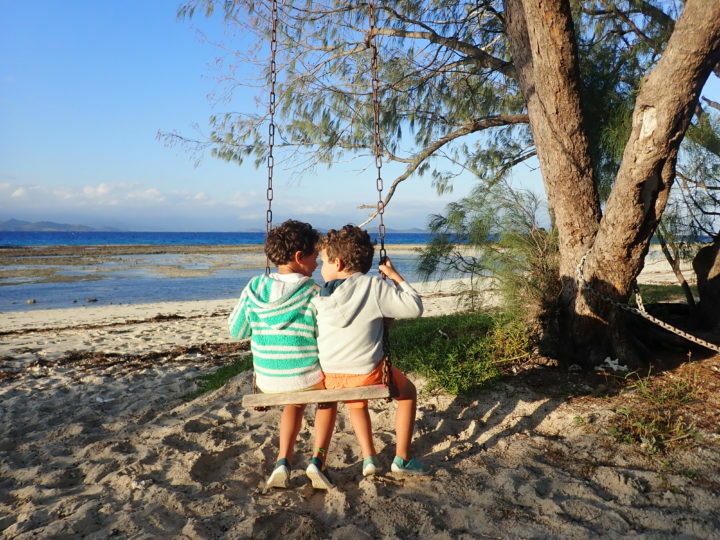 On board, we are Marjorie and Thibaut, the parents, as well as Ulysse, 6, and Titouan, 5, the two boys. 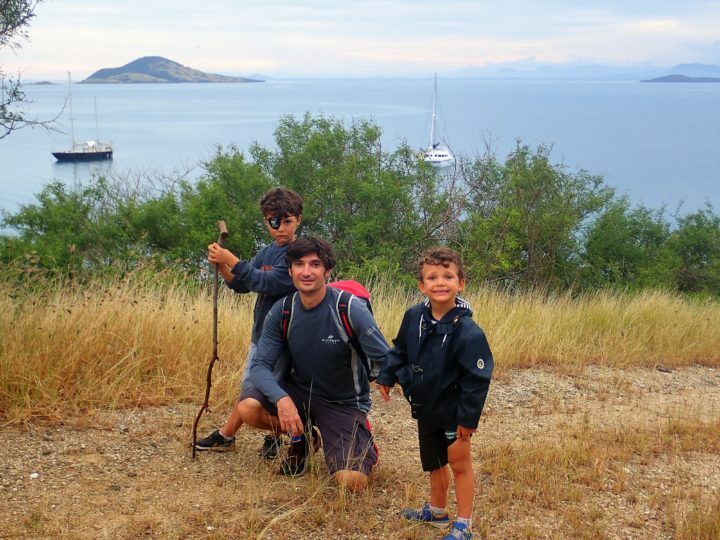 The plan is to go sailing for a time, to live aboard, to discover new horizons, in short: to live an adventure as a family! We have been living in Asia for 8 years, between Hong Kong and Shanghai. Thibaut works for Groupe Bénéteau and Marjorie for Dream Yacht Charter. Ulysse was born in Hong Kong and Titouan in Shanghai. 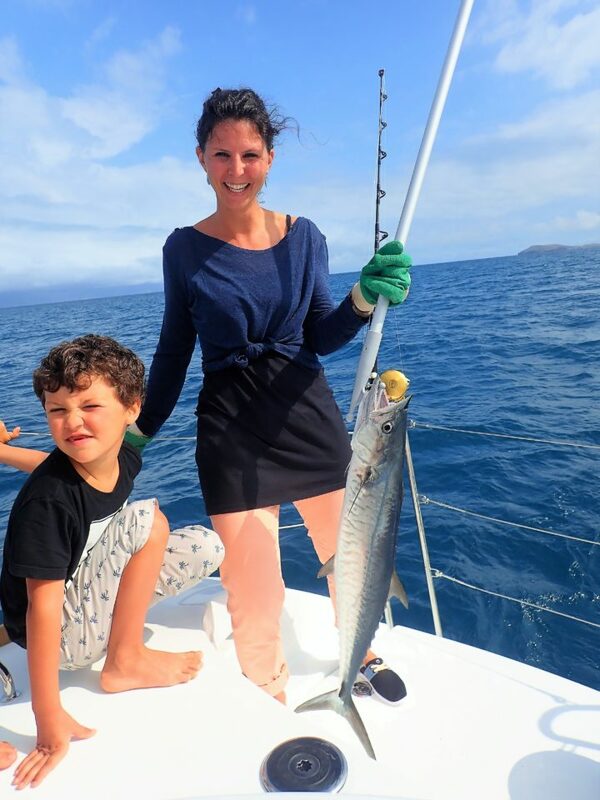 We regularly sail as a family on board our First 20 in Hong Kong or on charter yachts in Thailand, Malaysia, the Mediterranean and even Polynesia. We (Marjorie and Thibaut) share a dream that goes back to our youth, of casting off and sailing away. There were several opportunities, a few false starts, but life went on, the years passed by, and we did not go. Until we decided that, it was time, that we had to go, that the time was right: the children are old enough to benefit from it, to store up memories. They are big enough to be able to swim and to understand safety considerations. Moreover, our respective careers enable us to take time off and we decided to leave Asia to return to Europe; so it is now or never if we want to take advantage of a new chapter to slip in a maritime interlude. So the machine goes into action: where to go, when, with which boat, and what budget? For our destination, we chose the Coral Sea: the western part of the South Pacific, bounded by New Caledonia and Vanuatu to the East, Papua to the North, Australia to the West and New Zealand to the South. Because the Pacific is our dream: we are sailors, but also divers and surfers. Coral barrier reefs, diverse and varied fauna, atolls and reefs call to us. A year ago, we had the good fortune to sail in the Polynesian Leeward Islands and we fell under the spell of the South Pacific. We are also seeking to meet peoples that live differently to us. So Vanuatu and South Papua inspire us. 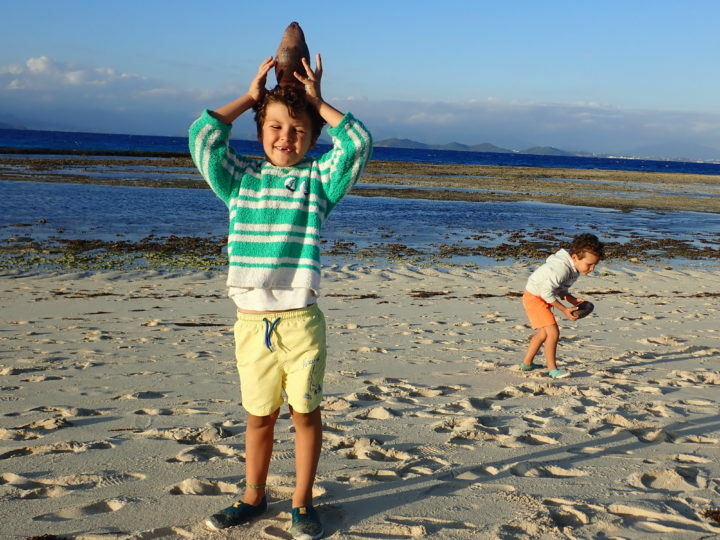 Finally, it is important for us to develop our children’s awareness of the beauty and fragility of the marine environment. 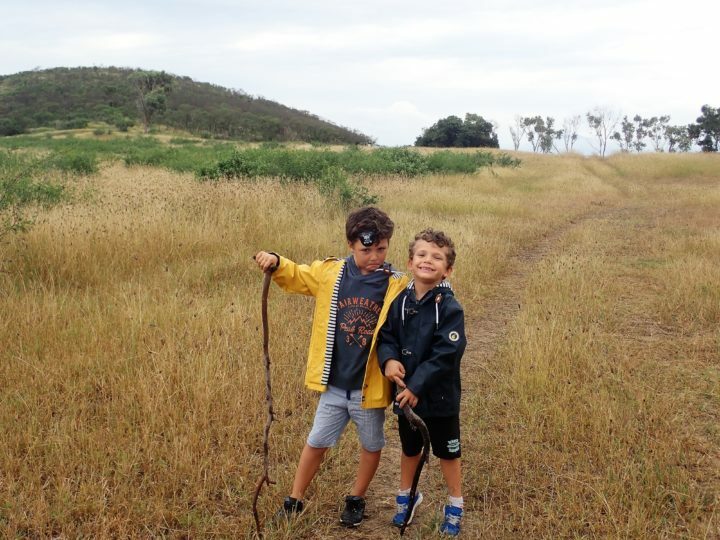 They grew up in an urban environment in China, and we want to immerse them in nature. The dates were relatively simple to set, determined by the end of the children’s school year on the one hand, and the opportunity to take a 6-month sabbatical on the other. 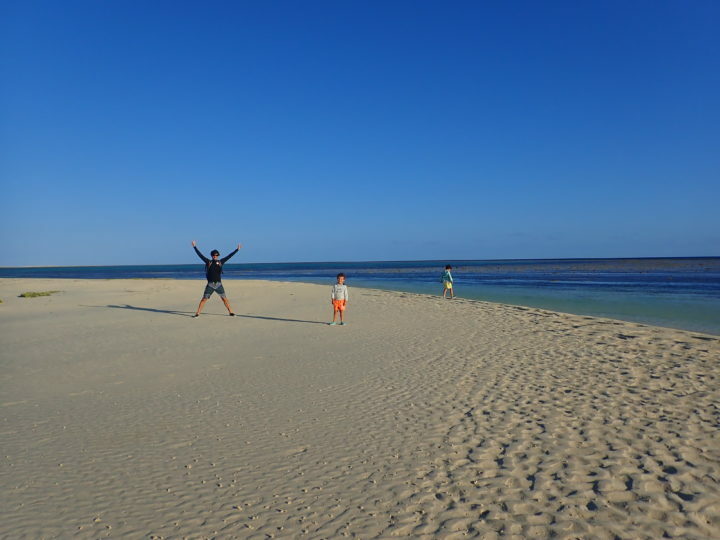 So we left on 1 July 2018, heading for Nouméa to begin with, to explore New Caledonia. Why did we choose a Lagoon 380? Regarding the boat … we sold our First 20 and, because of our limited budget, were thinking of buying a 15- to 20-year-old used monohull. Until a friend explained to us that with a good finance arrangement (thanks to SGB, the Groupe Bénéteau finance company! ), we could buy a new catamaran. 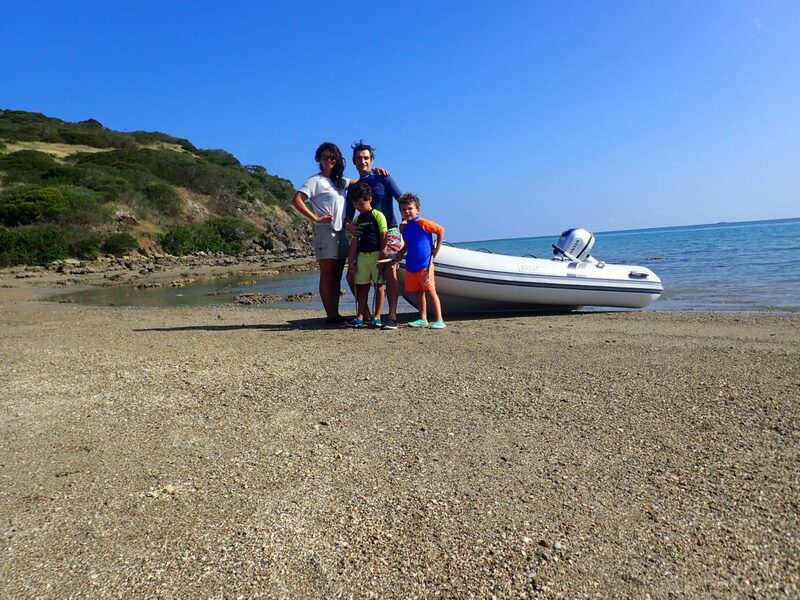 So we bought a boat in perfect condition, fitted out in accordance with our requirements, suitable for family sailing with young children, and that will be easier to resell once the voyage is over. 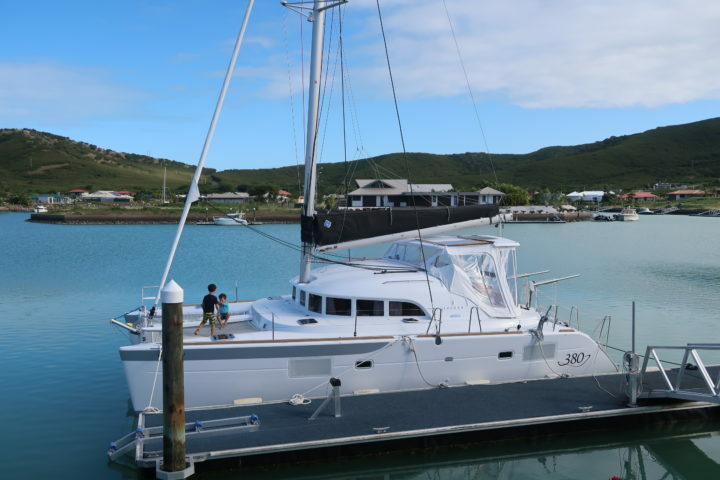 So we opted for a Lagoon 380: a proven model, simple, reliable and easy to handle. It will be a first for us because we have never sailed a catamaran. We equipped her with a code 0, radar, solar panels and a desalinator, because we will have to be self-sufficient, having chosen a sailing area in which marinas are scarce. Preparation for the voyage began in September, 10 months before departure, when we ordered our boat from the Lagoon boatbuilding yard. The rest was done primarily on our computers. We had to organise our finances and find distance learning solutions, since we have to provide tuition on board. For Ulysse’s schooling, as he will spend his first term of Year 3 on board the boat, we opted for CNED (the French National Centre for Distance Education). Long live the French education system! The programmes are well designed; there are several options according to opportunities for Internet connection and the return of homework. For Titouan, who will be starting Year 1, we chose a different formula. 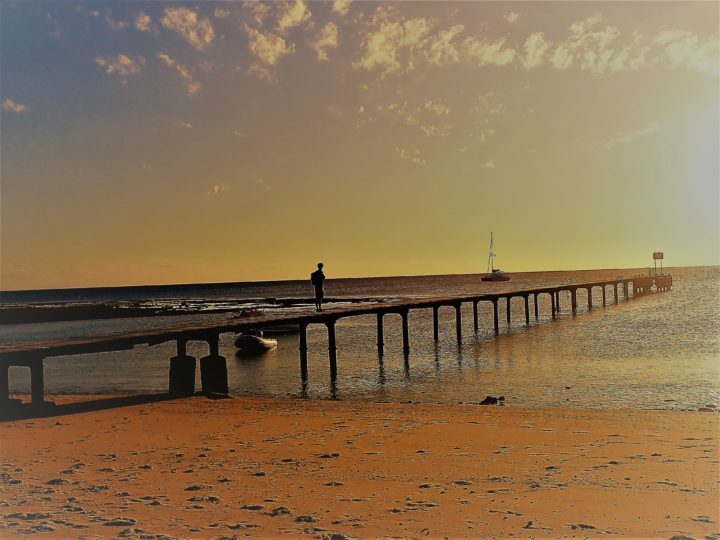 The months have flown by; our days of business activity were followed by evenings preparing for our voyage. We also needed to prepare for our move from Hong Kong to France, as we are leaving China to return to Europe once the voyage is over. What misgivings and concerns do you have regarding this project? When we imagined ourselves on the boat, under way, our main concerns were: safety, how to ensure our children’s good health. Marjorie and I chose to do first aid training with a trainer with experience relating to children. We also asked our family doctor in Hong Kong, a sailor and owner of a sailing yacht, to make a list of medicines to take with us. So we are leaving with an extremely comprehensive medicine chest. We could probably open a field hospital! We also enrolled Titouan for regular swimming lessons. It is important that both of our children feel very much at ease in the water. Our second concern was education on board: we are parents, of course, but not teachers. It is a profession! To add to the challenge, our two boys are very active and therefore quick to go and play on deck rather than stay in front of a notebook. We know that it will require infinite patience and that we will have to find fun ways to put the lessons across. We are buying activity books and downloading educational apps on our tablets. The third concern is the weather and the handling of a catamaran in heavy weather: I am watching all available YouTube videos on the subject, while being aware that experience alone can prepare us for difficult situations. Finally, there is the question of our ability to keep ourselves occupied on board the boat. Marjorie and I each have demanding professional activities and busy schedules. Will we be able to find our balance in a lifestyle ruled by the sun and the wind? Here again, only experience will enable us to answer this question. One thing is certain: we have been dreaming of this sailing adventure for so many years, it is time to go and make this dream a reality! See you soon for the next instalment! The art of independent living on board of Ganesha, a Lagoon 380! 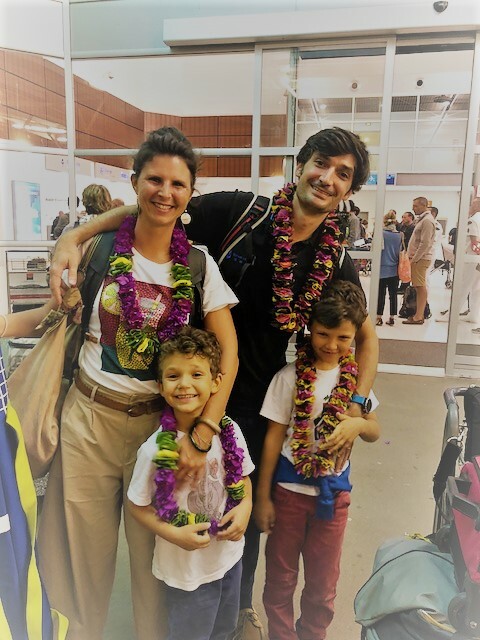 Family Pacific Dream: What Does Life on Board Ganesha, a Lagoon 380, Look Like? Band of Boats: Click, Rent, Sail!